I was awake last night listening to the storm. It is hard to sleep when the wind is howling and the rain is pounding. Still I was surprised to look at the rain gauge to find 2.5" or so had fallen. Walking through the fields there seems to be coating of water everywhere. It is often hidden in the grass but it is there, sometimes deep and sometimes thinner. 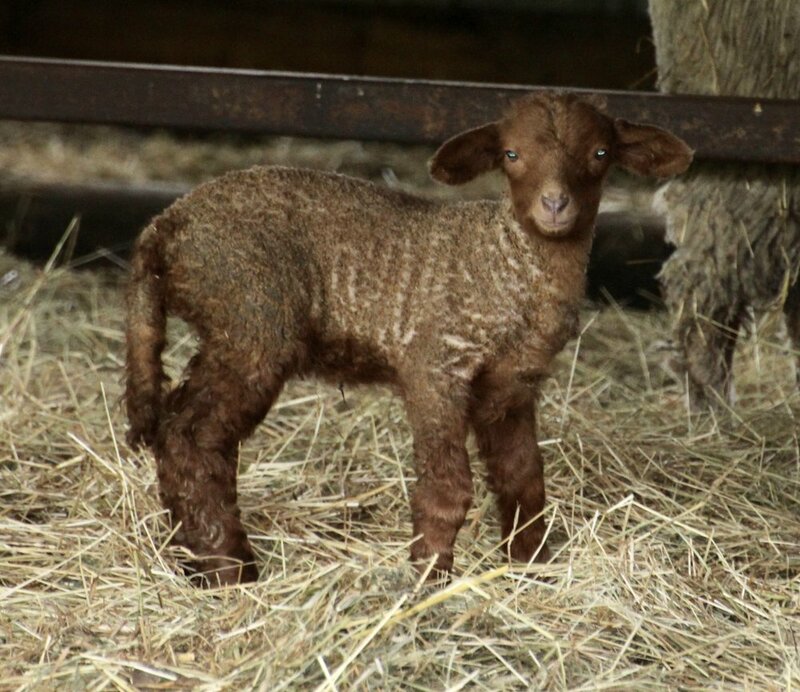 We had 2 new lambs born this week, a lovely reminder of new growth and spring during all the rains. Even though there is plenty of good grass for them, we moved the herd to the barn for the rains as there is no other dry place. We are starting to prep equipment, replacing blades and spades for use when the soil dries. We are starting more seeds as well, mostly perennial flowers and slow growing crops. It is hard to imagine when we will be able to plant but it will come. Heat 1 tablespoon of the olive oil over medium heat in a large soup pot or Dutch oven. Add the onion and carrots. Cook, stirring often, until the onion is tender, about five minutes. Add the garlic and red pepper flakes. Cook, stirring, until the garlic is fragrant, 30 seconds to a minute. Stir in the tomatoes. Bring to a simmer, and cook, stirring, until the tomatoes have cooked down slightly and smell fragrant, five to 10 minutes. Add the lentils and simmer with the tomato mixture for a few minutes, then add the bouquet garni and the water. Bring to a boil, reduce the heat and add salt to taste (1 to 2 teaspoons). Cover and simmer 30 minutes. Add the escarole, and bring back to a simmer. Reduce the heat, cover and simmer for 15 to 20 minutes until the escarole and the lentils are tender. Season to taste with salt and pepper. Remove the bouquet garni. Toast slices of country bread if desired and rub with a cut clove of garlic. Place a slice in each bowl, ladle in the soup and serve.